Thanks for visiting. 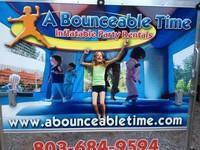 A Bounceable Time is family owned & operated in York, SC. 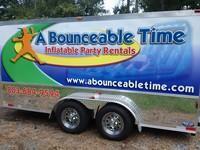 We proudly deliver all of our party rental equipment to Charlotte, NC, and everywhere in between. 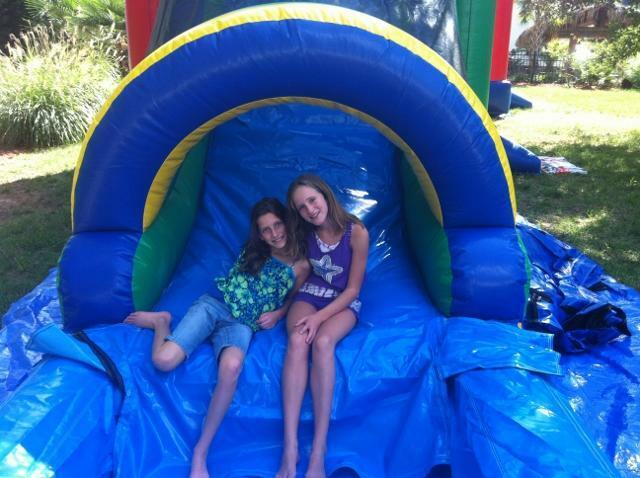 What makes us different from other inflatable rental companies? We ourselves began as renters. 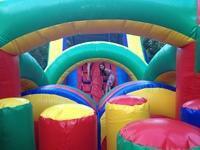 Renting everything from bounce houses and Slides to Obstacle courses for everything including Birthdays, Holidays, BBQ's and so on. As renters, we knew what we wanted and expected from providers. At A Bounceable Time (ABT), we will strive to make your experience with us the best you can expect. So, What can you expect from us? To begin with, our easy online ordering. With our streamlined program, you can easily check on any rental by unit, or even better, by the date of your choice. Once ordered, you will receive confirmation by email as well as a call from our office. As it comes time for your event, you will once again hear from us to verify all last minute details. We know you have many concerns to deal with for your upcoming event. We don't want to be one of your concerns!! On set up day, you will be met by our professional, courteous staff who will deliver and set up your unit as well as brief you on the "do's and don'ts" of operation. Our units are top quality, safe and clean. All units are cleaned AND disinfected after each use. We are not out to just make it a memorable moment, we are out to make memorable moments for you year after year.